People across the United States are converting their homes and properties to renewable resource, as advanced technology has made residential solar energy more affordable and reliable. According to National Renewable Energy Laboratory (NREL), rooftop solar power can provide power to the 75% of Homes in US. to make their homes solar-friendly, users integrate generators, panels, and power storage units and this means a hefty upfront personal investment. 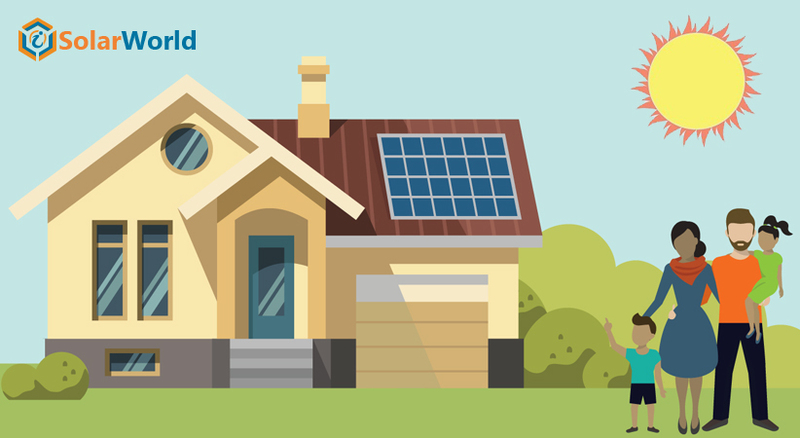 Until rooftop solar panels came into the market, it was difficult for homeowners to incorporate equipment onto their existing home as this entire process involved huge expenses. Many people therefore, stepped back from installing solar panels. But situation has changed slowly after community solar system’s grand entry. This cooperative model has changed property owners’ view on renewable energy as well as has made this affordable. What is Solar Community actually? sometimes referred to as a solar garden or shared renewable energy plant, a community solar project is a solar power plant whose electricity is shared by more than one household. This can refer to both ‘community owned’ project and third party plants. According to the US Department of Energy, a solar community is a solar-electric system that provides power and/or financial benefit to multiple community members. Property owners get benefit from these voluntary neighbourhood programs without huge amount of investment. multi-family unit dwellers, small business owners, and rural residents, as well as traditional single-family property owners can participate in the solar community. This is helpful for low to middle income residents and is also ideal for properties where installation of panel is impossible. In utility-sponsored communities. Consumers can purchase or lease shares of that energy on their regular power bills. The on-bill crediting model allows energy consumers to invest in a local solar facility. In exchange, they receive credits to their monthly power bills. When individuals and other companies can invest and share the benefits, this is termed as special Purpose Entities, where solar production projects are sponsored by businesses. Non-profit organizations create solar communities in low-income and underserved areas. These programs often include job training initiatives that aim to improve the local economy. Private donors fund these efforts. renewable energy becomes more important to the continued prosperity of our world, as traditional sources of energy deplete. An MIT study revealed that very soon global solar energy system will be able to produce electricity on a multi-terawatt scale. In this new era, solar farms are the best option to provide cheap, clean, consistent, and conflict-free power all over the world. For average energy users, community sola gardens are the perfect choice. To keep yourself abreast in this space, follow us today.